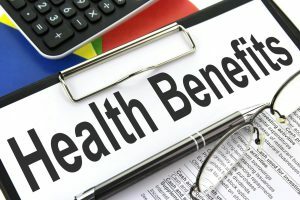 Finding the Best Employee Health Insurance: Who’s Doing the Homework?What Are You Doing to Prevent Distracted Driving? If you operate a small business in Illinois and currently subscribe to a Blue Cross Blue Shield PPO health insurance plan for employees, BlueCross BlueShield has a new plan that could save 20 percent to 30 percent in premiums. Under the plan, you can most likely maintain your current coverage, or actually have better coverage. And you would very likely be able to keep your current health care provider network in place. Under the plan, your employees won’t have to select a primary care provider and they won’t need referrals for a specialist. This is probably just like your current PPO plan. When deciding which doctor or other provider to use, employees will have three tiers to consider: a select group of in-network providers, a larger group of in-network providers, or out-of-network providers. Coverage would rival what you may currently have in place. The plan is available to businesses that subscribe to a Blue Cross Blue Shield of Illinois PPO group policy in Cook County and the surrounding suburbs and counties. Those who subscribe to other plans may be able to switch to Blue Cross. Switching to this plan may create a rollback in health insurance premiums not seen in years. Contact Jordan Bradish to learn more (free consultation) about this great new health insurance option, at 847-259-2400.